Have you ever heard of "lime turquoise?" You will now; and you`ll want it! 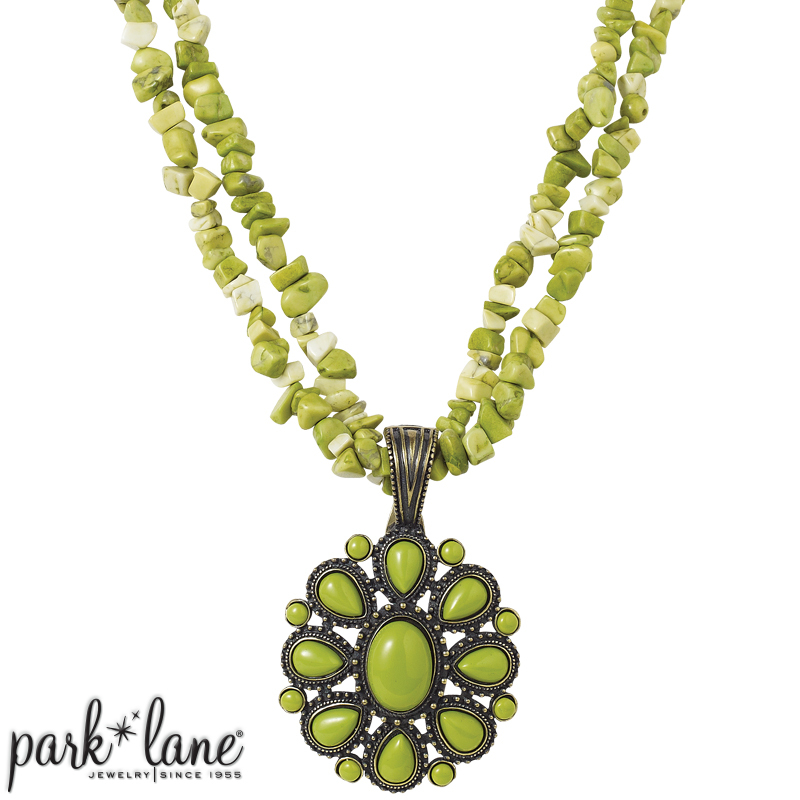 A double strand of genuine lime turquoise nuggets, M`LADY necklace features a burnished gold amulet adorned by beading and set with cabochon-cut, lime turquoise gemstones. Its hinged bail has a magnetic closure so it can be removed and worn on other cords or chains. The nugget necklace, which is designed to be doubled to a length of 21 inches, could be unfolded and worn as a long strand; simply use M`LADY pendant to cover the end clasp. 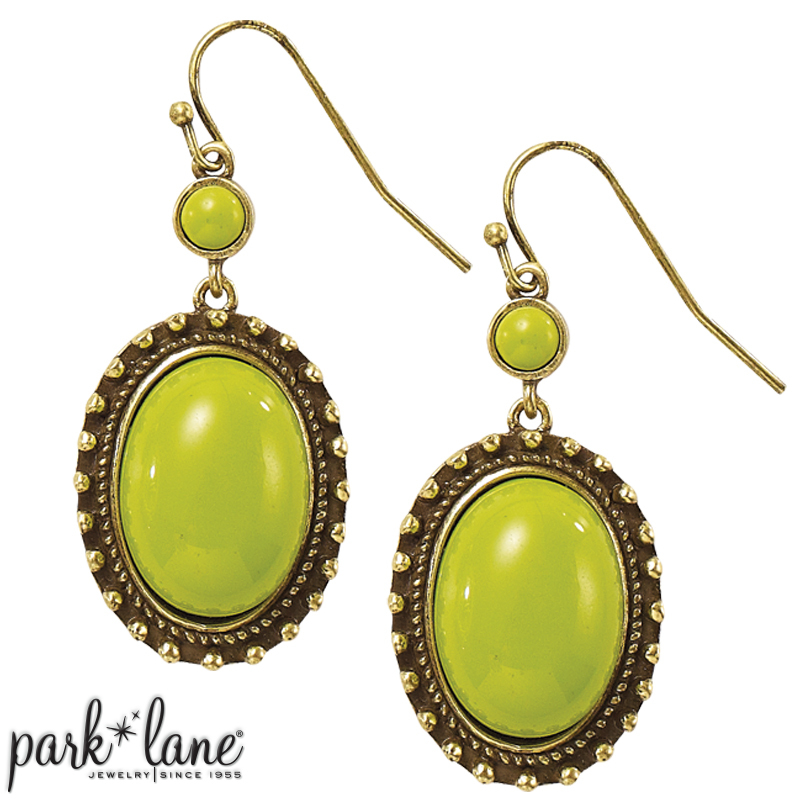 Single oval gems, set in a beaded frame, make stunning earrings. Necklace is 21 inches long plus a 3-inch extension. Unfolds to 42 inches in length. Pierced earrings are fishhook-style. Rings: Palm Beach, Appleicious, Margarita, Prince Charming, Signature-olivine, Glamorous, Peacock, Alice Bracelets: Signature-olivine Layering options: Depending on the outfit try layering with Jade necklace or Signature-olivine.